Using only a handful of household products, you can make your dull aluminum utensils, sinks, and outdoor furniture shine like new once more. The world’s most abundant metal, aluminum, contributes to many products homeowners use every day: pots, pans, utensils, furniture, and even car parts. In any of these examples, its naturally soft exterior is often anodized—or combined with other metals, like copper or magnesium—to create an alloy that stands up to regular wear and tear. As with many other metals, aluminum products can acquire an unattractive (yet harmless) dull appearance over time resulting from the metal’s natural reaction to oxygen. Removing this tarnish requires careful handling and cleaning, since scrubbing and abrasive cleaners can scratch or discolor the surface. 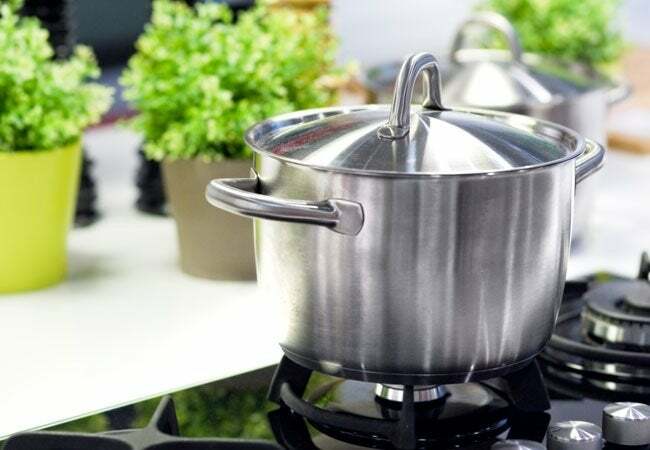 Whether you’re looking to restore shine to your cookware, sink, or furnishings, follow the outlined steps below for how to clean aluminum properly. For regular maintenance, hand wash aluminum utensils and pots with mild dish soap and warm water. If your kitchenware has stuck-on stains, try the following method—which cleans pots and utensils at the same time! 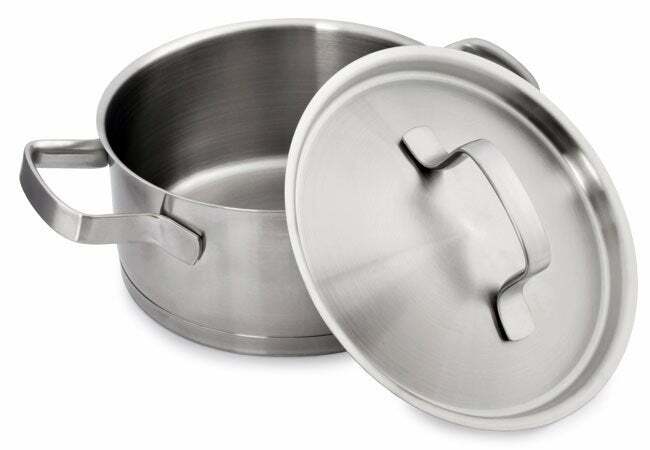 Remove all food and grease from your aluminum utensils with soap and water, then place the items in a large aluminum pot. Don’t use pots made with cast iron or other metals for this method, since the acid involved can damage their finishes. Fill the pot with water, leaving about 1 to 2 inches from the top for boiling. For every quart of water, add 2 tablespoons of a cleaning agent of your choice: white vinegar, lemon juice, or cream of tartar. Bring the pot of water to a boil, and simmer for about 15 minutes. The aluminum interior of the pot should appear brighter. Allow the contents to cool before pouring out the water. Rinse and dry the utensils, then use a non-scratch scrub sponge or pad to gently rub the inside of the pot. Rinse with water and dry thoroughly with clean rags. To tackle stubborn discoloration on the outside of aluminum pans, it’s best to use a non-abrasive metal polish by following the manufacturer’s instructions. Mild discoloration on the outside of pans can be eliminated with the same method for cleaning an aluminum sink, listed below. 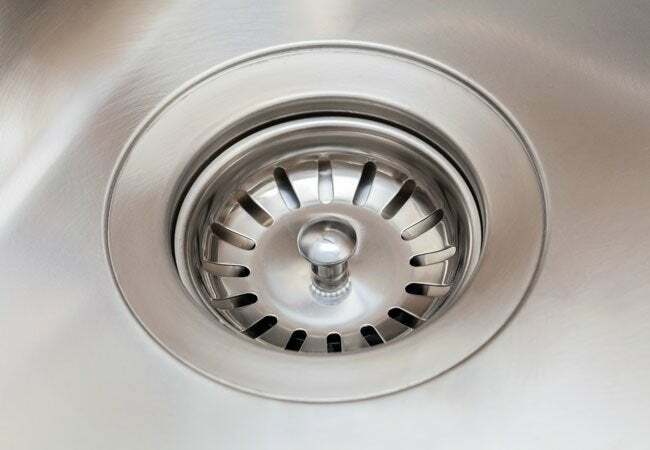 To prevent a build-up of grime and food particles in your aluminum sink, regularly clean the surface with dish soap, a sponge, and warm water. Avoid scrubbing the sink with abrasive brushes or pads, so you don’t damage the soft metal. Use the following deep-cleaning method when you notice a tarnished or dull appearance to the aluminum. Clean the sink with dish soap and water to remove all traces of grease. Rinse well. Cut a lemon in half, and dip it in table salt. Scrub the surface of the sink with the lemon until you notice the aluminum brightening. Rinse well with water and a cloth. Dry thoroughly with a clean, dry rag. If your aluminum furniture is coated or painted, cleaning it depends more on its exterior finish than its aluminum base. For example, vinyl-coated aluminum furniture should be treated as a vinyl item rather than an aluminum one. 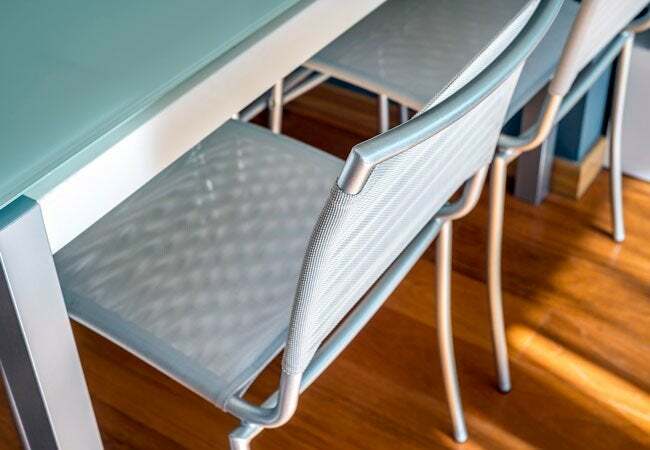 The following method works well for uncoated, unpainted aluminum furniture, like patio chairs and dining tables—just save your cleaning for a cloudy or cool day, since aluminum tends to get too hot to handle in direct sun. Soak your furniture with water from a hose, then clean with soapy water and a rag. Mix a solution of equal parts white vinegar and water in a large bowl. You can choose to use another acid like cream of tartar or lemon juice, but vinegar is the cheapest option. The exact measurements will depend on the size of your aluminum furniture, but at least 2 cups of water and 2 cups of vinegar should be a good starting point. Soak a clean rag in the solution, then apply it to the surface of your furniture. You can also rub the solution in with a soft scrubbing pad. For difficult spots with greater discoloration, resort to the lemon-and-salt method used for cleaning aluminum sinks (listed above). Once the aluminum surface brightens up, rinse the furniture thoroughly with your hose. Dry with clean cloths. If you’re working with outdoor furniture, finish with a coat of your favorite brand of car wax applied per the manufacturer’s instructions. This layer will protect the surface from weather damage throughout the season.